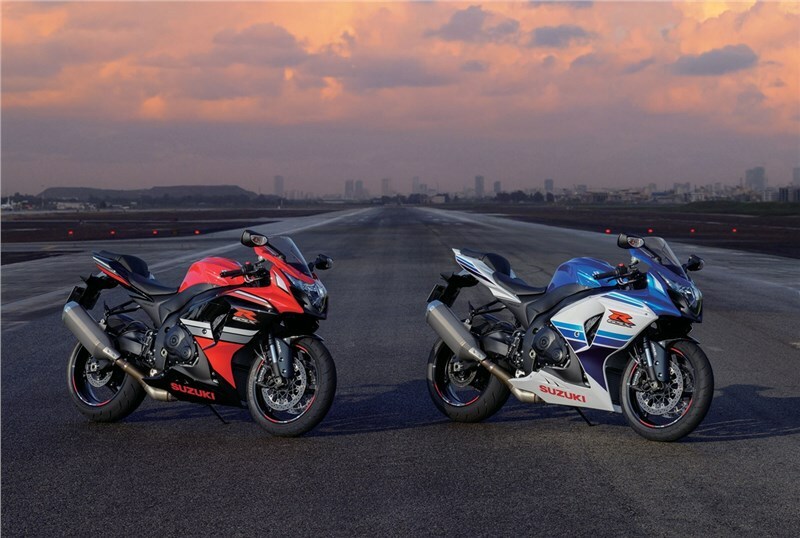 A pair of Commemorative Edition GSX-R1000 models celebrate the revolutionary 1985 introduction of the GSX-R750. 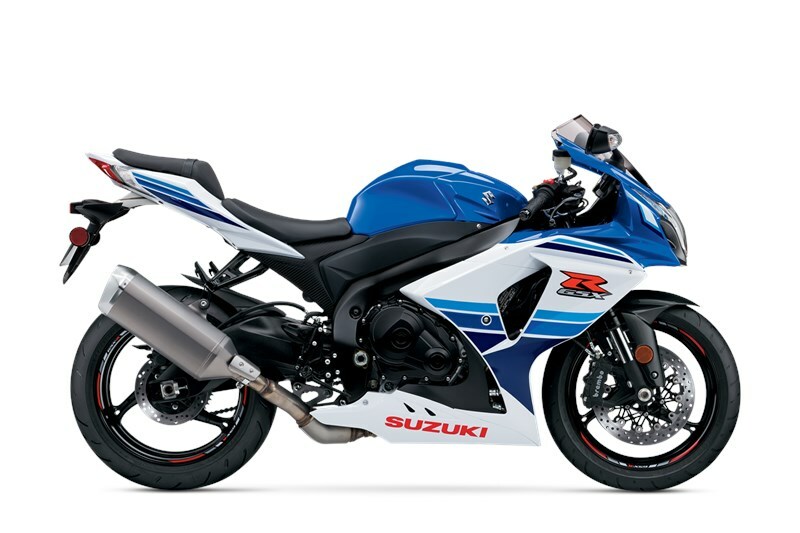 A Blue-White model pays homage to the original GSX-R750, which featured classic blue-on-white stripes. 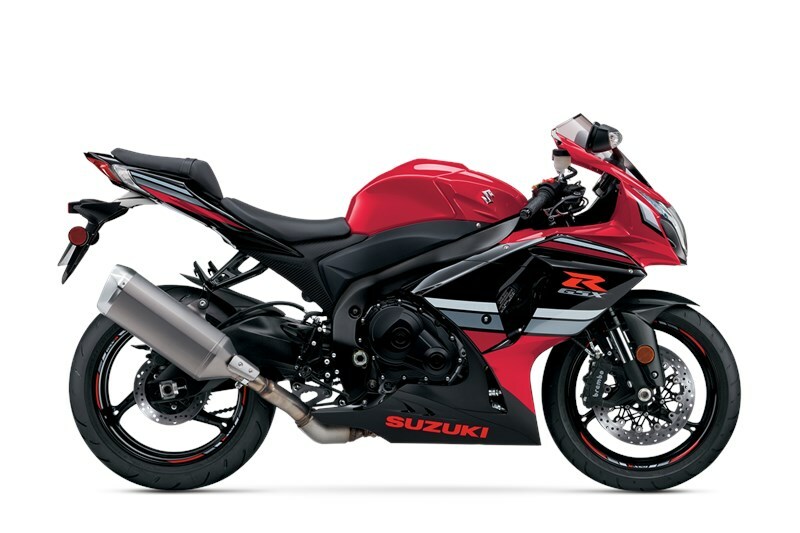 A Red-Black model honors the Yoshimura Suzuki riders who excelled at the Suzuka 8 Hour endurance races in the 1980s. Both have an exclusive “30 Years of Performance” badge and special wheel striping to signify their limited production status. Potent 999cc, 4-cylinder powerplant, with a bore and stroke of 74.5 x 57.3mm brings enhanced throttle response across the entire RPM range plus a true potential for racetrack dominance. 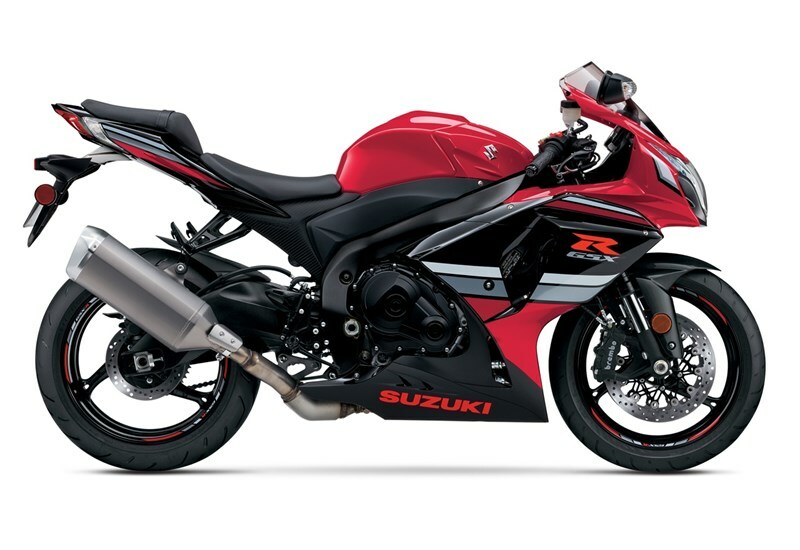 The compact engine enables short wheelbase with a long swingarm to create racetrack-capable handling characteristics. Lightweight, durable forged pistons are designed using the same Finite Element Method (FEM) and fatigue analysis technology used for MotoGP racing engines. Pentagonal shaped ventilation holes in the sides of each cylinder bore reduce pumping losses due to internal crankcase air-pressure resistance to downward piston movement. The camshaft profiles were developed using proven MotoGP racing engine technology to produce power delivery capable of racetrack performance. Carefully shaped combustion chambers and a compression ratio of 12.9:1 creates strong low-range and mid-range performance to create a broad torque curve. An Engine Control Module (ECM) provides state-of-the-art engine management and has enhanced settings to suit the single muffler, resulting in better fuel economy and linear throttle response. 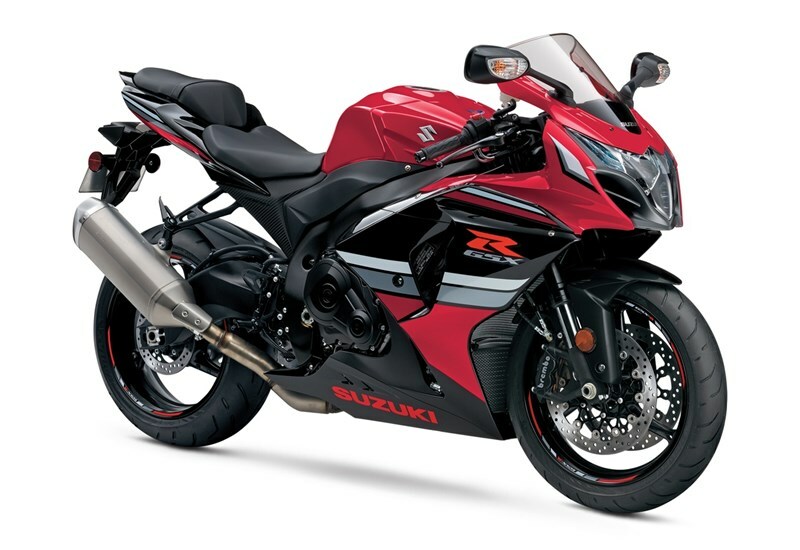 The 4-2-1 exhaust system carries a Suzuki Exhaust Tuning (SET) valve to maximize torque and improve throttle response, especially in the low-to-mid RPM range. 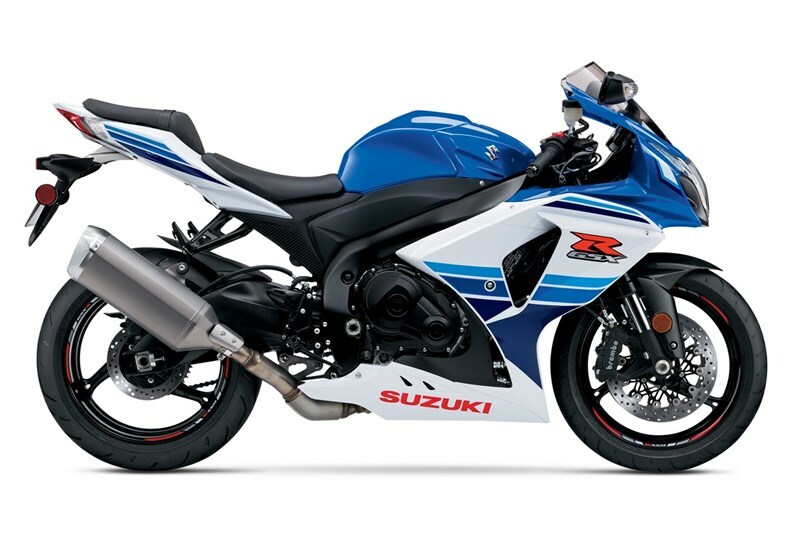 Large, efficient radiator with a curved shape developed on factory team racebikes and a trapezoidal engine oil cooler shed heat while reducing drag. SHOWA Big Piston front forks (BPF) with an endurance-race-proven lightweight design that delivers superb feedback and response. Spring preload, rebound and compression damping are all fully adjustable. Single, link-style rear shock absorber features adjustable rebound damping, spring preload, and both high-speed and low-speed compression damping. The dual front disc brakes are equipped with the premier, radial-mount Brembo monobloc calipers grasping 310mm floating brake rotors. The rear brake system with single-piston caliper contributes low unsprung weight. Three-way adjustable footpegs, adjustable shift lever and short fuel tank help compose a comfortable riding position. 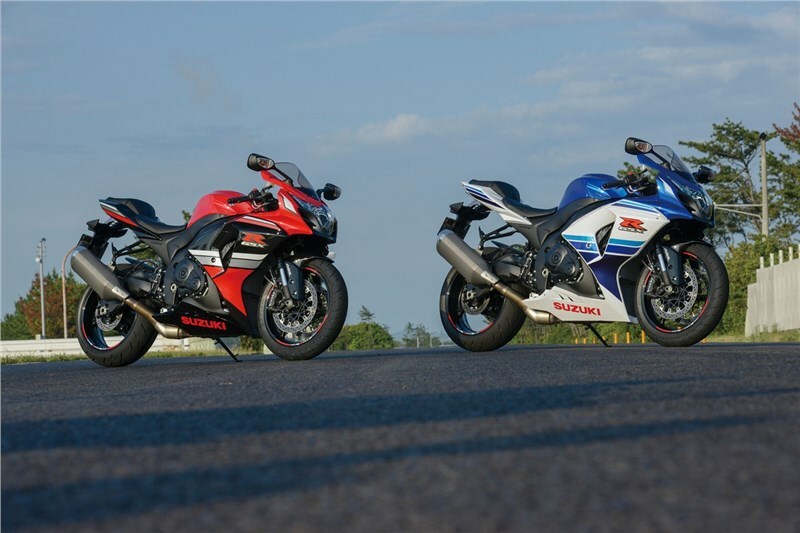 The edgy and clean GSX-R race-inspired styling incorporates fairing and bodywork details aimed at reducing turbulence and drag. 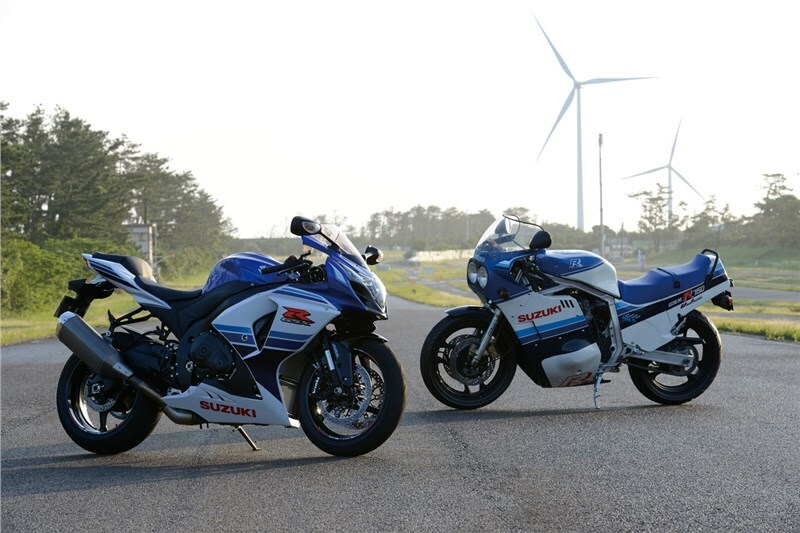 Special Pearl Vigor Blue / Pearl Glacier White paint scheme pays homage to the original 1986 blue and white GSX-R750. 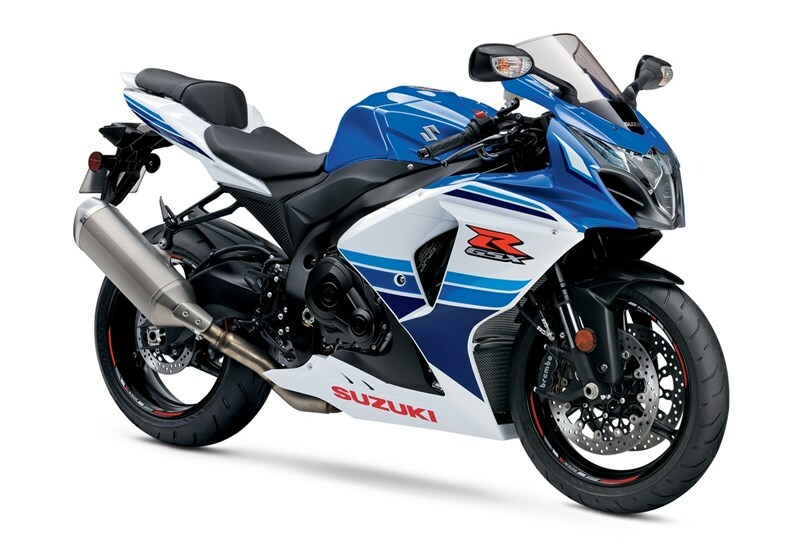 A special “30 Years of Performance” GSX-R logo is on the top of the fuel tank.